She came running into to the house, "MOM, YOU"LL NEVER BELIEVE IT!!! COME QUICK!" 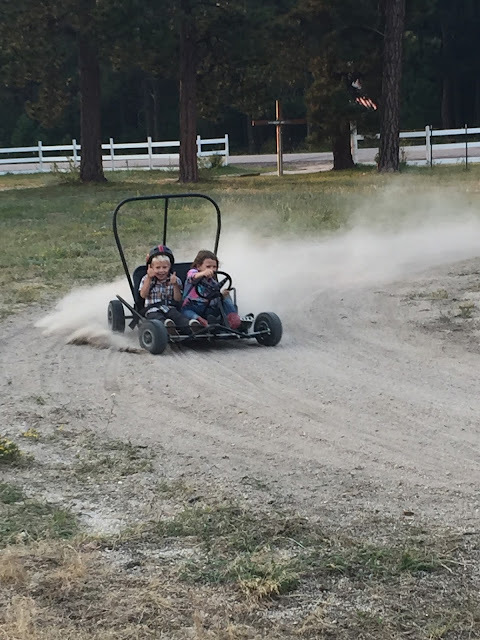 Then she went back our the front door and started running as fast as she could out to the little track the boys made earlier this summer. And as she ran she kept declaring, "I gotta go! I gotta get back to drivin! I'm a grown-up kid now! Today is the ABSOLUTE BEST DAY EVER!!"